Link building (err, link earning) kicks off the first session after the keynote on Day 2 of SMX Advanced 2013. The room is packed with people wanting insights and tactics to drive traffic and get citations without getting busted by algorithmic and manual link penalties. Elisabeth Osmeloski of Search Engine Land moderated the panel and opened by noting that we all want to learn how to build links without worrying about Penguin! Building links in 2013 is the same as 2011. Create high-quality link content. For many SEOs, content marketing is just link building without the penalties. Lazy people diminish some tactics by hammering them to death. Google raises the bar on tactics that get used over and over. Lazy link builders are going to burn certain types of links. This means the ROI is going to go down over time, as, for example, .EDU departments are going to get jaded by these requests. Go after links other people are missing! 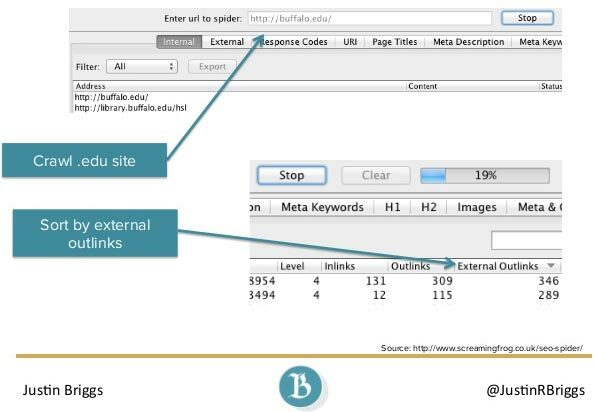 Use Screaming Frog to sort by external outbound links. Look for hubs of links. Why is someone putting together a page with a bunch links? You can find resources that people have, for example, for students studying abroad. Find resource content for people. You’ll find departments that have not been pitched yet. TIP: Always do a follow-up and double your success rate. Justin refers to Oatmeal. Create good high-quality content people like infographics that people can feature on their sites. Go to Code Academy to see how to create interactive content. All content development needs to have a mode & method. You have to have something interesting in nature. Tactical TIP: Take advantage of the site’s mechanics. Example: Got link on site like wired.com, which scrolls up and down and has target audience. Use StumbleUpon ads to extend exposure on the home page for a few hours. Sometimes SEO is just SEO. Don’t stress about whether or not SEO is becoming inbound marketing. Do your basic SEO. Update internal link structure. Doing internal link building still works well. 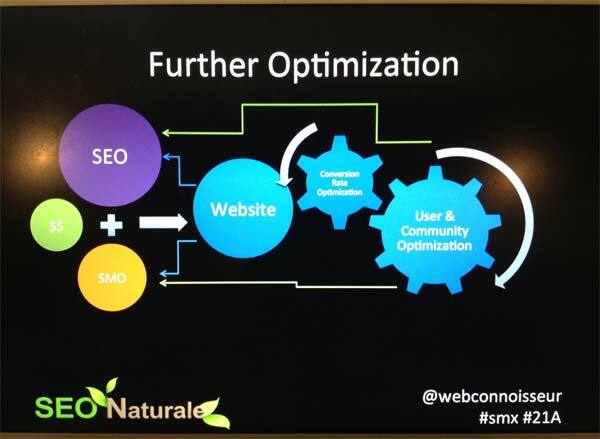 Manual link outreach still drives revenue. Understand how link spam analysis works. Mass estimation of relative links. If links go over a certain threshhold, e.g. make sure brand anchor text stays over 50%. Dustin Woodard (@webconnoisseur) of SEO Naturale shared how to think outside of the box and about marketing and the brain. That’s what Google said! Don’t just follow what they say. You do need to do some marketing! How do you make a pitch? The highest level thinking is the Neocortex, high-level brain. You have to go through the old brain, the survival brain – crocodile brain. When making a pitch, we are operating from the Neocortext, but people read from the crocodile brain. If your pitch is too high-level and looks like it will take 15 minutes to respond, it gets deleted. Desperate emails get deleted. DO shift your thinking and start thinking about the Web. You can get links anywhere, but you are contacting this one website to give them the opportunity to link to your content. Give them a deadline. Example: I need to know if you are going to be able to publish this content in the next week. If not, I’ll need to provide this to someone else. Have them do you a favor. Consider user experience and share button placement. Test effect of where you place the floating sharebar. Pin it button placement. Changed location of Pin button to lower right next to site and got 15% increase in shares. Earn points for publishing articles the way Moz removes nofollow link from profile. Dropbox – Invite a friend to increase storage. NFL – Earn points by reading a couple articles. Points can be redeemed by getting adiscount in their store and chance to go to SuperBowl. NFL increased subscriptions by 800%! Dopamine is released in your brain when you receive a reward. Gamification works off this dopamine moment. Socializers (80% and biggest group) – Reward is commenting and meeting up with people. Killers – want to win but see others lose. Kaila Strong (@cliquekaila) of Vertical Measures was up next to provide some tactical tips and strategies for building links. Lin Building Hasn’t Changes. The rules are still the same. 8 thinks you do today. Ask yourself if you would want this link if there were no Google? Start speaking the language the client is using when looking for links. Got link of DA 54 PR 5. Got link of DA 92 PR 7. Tactic: Positive brand mention without a link. Use of social media. She reached out to magazine and created familiarity and reached out on Twtter. Got link of DA 84 PR 7. Tactic: Link to 404 pages and link checker. Found 27 broken links. Reached out and explained new available resource. Got link of DA 75 PR 7. Tactic: Review of competitor backlinks and use of macro spreadsheet to color code evaluation of link profile. Reached out to provide information. Got link of DA 66 PR 6. Found resource pages and find additional resource pages for more follow-up. Got link of DA 88 PR 7. Got link of DA 100 PR 8. Almost every industry has websites that have niche directories. Tactic: link from employee bio; looked through LinkedIn and looked at employees and do strategic analysis about people. Got link of PA 34 PR 4. Become and advanced search command pro. Create content your competitors want to link to. Don’t forget about images. Request links if others use your links. Contact via social media to follow and like webmasters and get in contact that way. 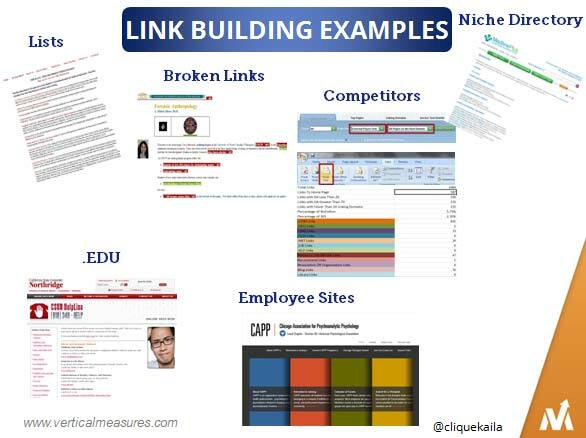 New way of link building is the manual way of finding links. Build a natural link profile. Great content is where it starts. – That’s funny! Wish I would have been able to catch the presentation, sounds like it is right up my alley. Kaila, thank you for taking the time to comment. It was obvious that you took a considerable amount of time to provide us with so many tips, tools and strategies! Appreciated the tactical take-aways!